Eating disorders have a lot in common with addictions, in fact many professionals in the field believe that they are the same thing. There are a lot of parallels and cross-overs between eating disorders and addictions. Some examples include the high number of people (not always female) who had been actively anorexic or bulimic in their teens and early twenties, who subsequently ‘swapped’ their eating disorder for alcohol or drug dependency. What often happens is that when the subsequent drug and alcohol issues are addressed, the pre-existing eating problems re-emerge. Obesity is on the rise in this country despite a lot of money being invested by the government in health education schemes. Sadly, society tends to accept an emaciated and under-nourished form as acceptable, even desirable whilst at the same time regarding even slightly over-weight individuals as ‘fat’. 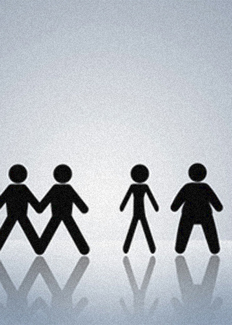 The common perception is that overweight or obese means ‘greedy’ and ‘lazy‘. Progress is slow in this area, and jokes about obesity are common in the media. So too are photographs of celebrities on holiday accompanied by references to ’flab’ and ‘cellulite’, when in fact the person in question is perfectly healthy. Eating disorders have a lot to do with uncomfortable feelings and a need to feel ‘in control’ in a world where so much seems to be uncontrollable and threatening. To an anorexic this means complete control over what enters the body and rigorous action to counter it’s effects through the use of laxatives and exercise. To an overeater or bulimic, it means flooding the system with ‘feel-good’ chemicals that the brain produces in response to ‘reward foods’ such as sugar, carbohydrates and in some cases salt. With an overeater this compounds their sense of guilt and shame by increasing body mass. The bulimic deals with this particular problem by purging by means of vomiting and often laxative use with excessive exercise. The result for a bulimic is that to the casual observer she/he appears ‘normal’. Inside however is the desperate need to remain in control and to protect their ‘guilty secret’. Eating disorders are treatable. Most reputable nutritionists however agree that dieting is not the answer. Counselling can help if combined with practical action such as regular moderate exercise and permanent changes to eating habits (not crash dieting). This applies equally to anorexia and to overeating.